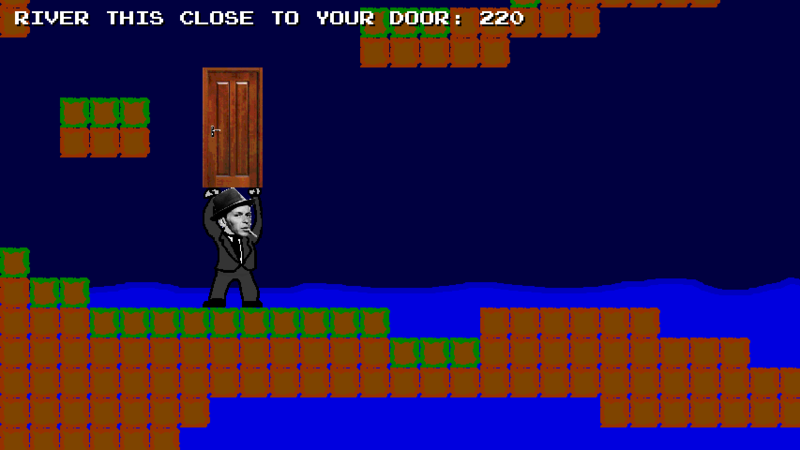 Why won’t the river stay away from Frank Sinatra’s door? Help Frank guide his beloved door to safety away from the river, up above, where the river can’t rise any higher (he’s so all alone!). Press ‘X’ to jump and press ‘Z’ while standing next to the door to pick it up. Made for Timezone Lottery Klik Jam #9.